Chancellor Phillip Hammond has announced that he’s extending “off-payroll working” rules from the public sector, into medium and large sized private sector organisations. HMRC believes that around a third of those working through their own company should be inside IR35. Of this third, only 10% are correctly identifying themselves as being inside IR35. By making clients responsible for determining IR35 status, HMRC is hoping to drive up compliance and ensure those who are inside IR35 pay the correct amount of tax and NI. The twist in a long-expected announcement is that this will only apply to medium and large sized clients – thus sparing small businesses the challenge of managing IR35 compliance. From April 2020, you’ll no longer determine your IR35 yourself. Instead, your client will examine your engagement and determine the IR35 status, and they must tell you the outcome before you start work. Your clients must consider each case individually: they cannot be overly cautious and declare you inside IR35 for simplicity. The Met Office recently came unstuck doing this – a contractor challenged his inside IR35 status and was awarded £9,500 in tax and NI that was unlawfully deducted. Therefore clients have to make correct decisions – inside or out. The government has made it very clear that blanket decisions are not allowed, and you’re allowed to ask your client for the reasons behind their decision in writing. Once your client has reached an outcome you agree with, if you’re outside IR35, it’s business as usual. If your engagement falls inside IR35, your client (or your agent) will collect tax and NI on your behalf, and pay your fee net of these deductions. It’s important to remember that IR35 legislation itself remains unchanged – this announcement is purely about improving compliance. If you (and your client) are confident about your IR35 status, then you shouldn’t be impacted by the changes. If you’re unsure, now’s a great time to read our IR35 guides and book and make sure your working practices are up to scratch. Can I still consult / contract outside IR35 from April 2020 onwards? Absolutely. Remember, HMRC has stated that at least two-thirds of those working via their own personal company are legitimately outside IR35. In many industries the proportion outside IR35 will be much greater – for example, the general view from the IT industry is that over 80% of engagements will continue to fall outside IR35. As a point of reference, take a look at the impact on the public sector (where off-payroll rules have been applied for almost two years). Many of our clients are contracting / consulting in the public sector, outside IR35. Even HMRC themselves still use contractors and consultants operating outside IR35 to deliver change programs. Should I close my limited company? There’s two simple questions to ask yourself: will any part of your work, now or in the future be outside IR35? Or will you ever work for a smaller client? If so, then using a limited company is still the most cost and tax efficient way to operate. It beats an umbrella hands-down. If, however, you think all of your work in the future will be inside IR35 for medium and large clients, then the case for operating a limited company becomes more marginal. If you’re thinking about moving to a brolly, make sure you do your due diligence – and be wary of pushy agents, kickbacks are rife here. As a general point, check the fees involved because for all but the lowest paid, the running costs of an umbrella can be staggering – and can quickly outweigh the costs of running a limited company. Can I use my limited company for off-payroll working? 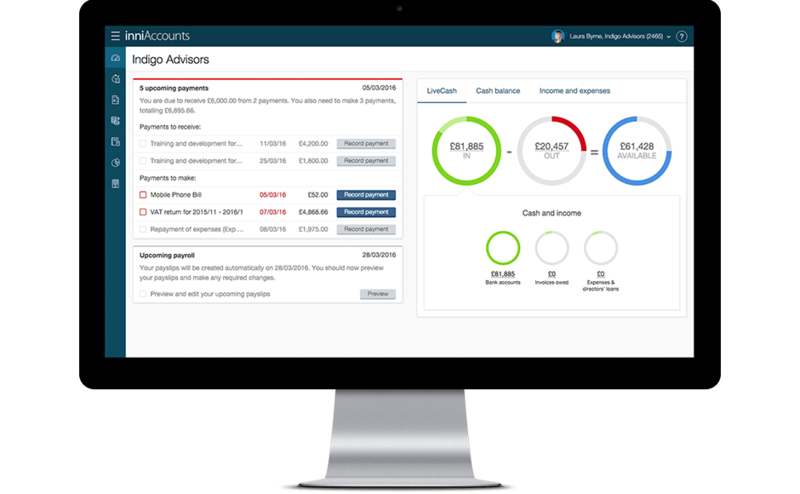 Yes, and here at inniAccounts, we’re the only accountancy provider that has full in-app support for off-payroll working. This means that if you find yourself working inside IR35, our app will handle your earnings correctly. It will know that the engagement is inside IR35 and your income has already been taxed, therefore it will ensure you’re not taxed twice when you withdraw this money from your company. This means, uniquely to inniAccounts, you can continue to use your existing limited company to move fluidly inside and outside IR35 (or even both at the same time), and be confident that you’re paying the right amount of tax. In the coming weeks, we’ll be publishing a comprehensive guide to off-payroll working and as April 2020 approaches we’ll be in touch to help you with the transition.